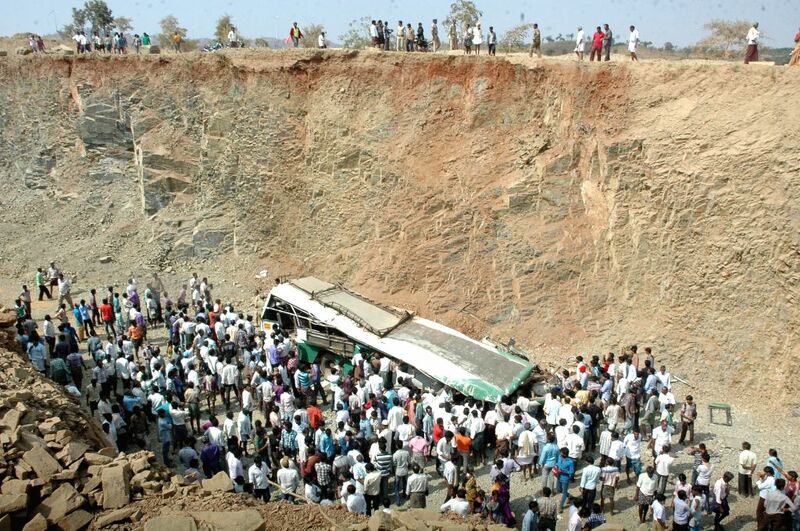 Anantapur: People in large numbers gather around the ill fated bus that met with an accident in Andhra Pradesh's Anantapur district on Jan 7, 2015. 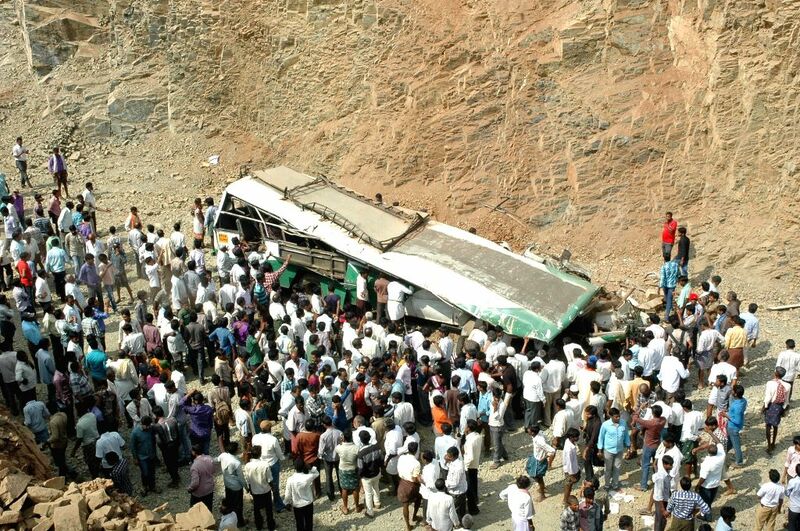 At least 14 passengers, half of them students, were killed and 40 were injured when the crowded bus slid down the road between Penukonda and Madakasira. (Photo: IANS). 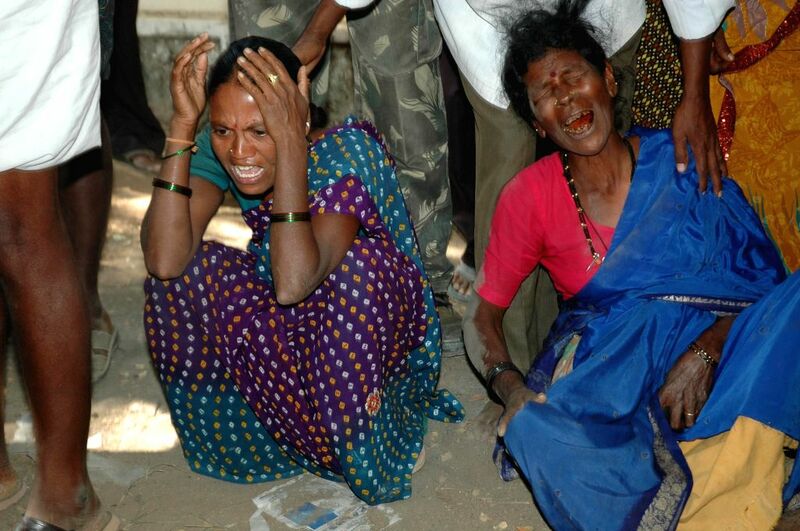 The mourning relatives of those killed in a bus accident in Andhra Pradesh's Anantapur district on Jan 7, 2015. 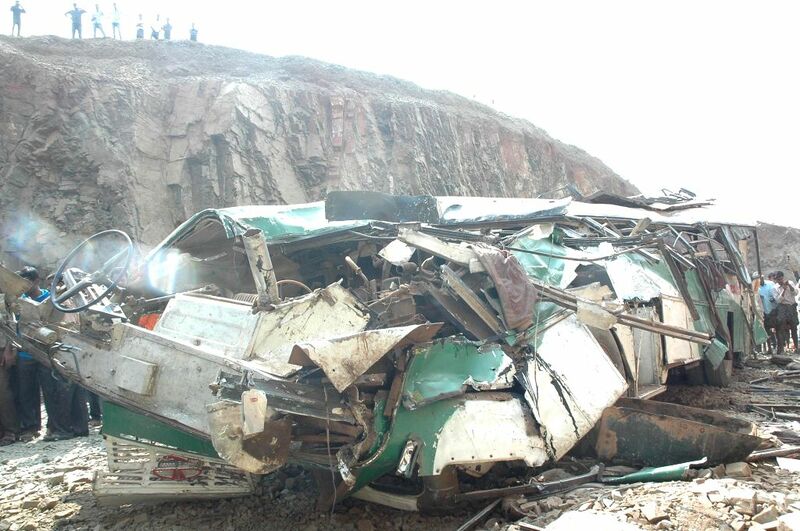 At least 14 passengers, half of them students, were killed and 40 were injured when the crowded bus slid down the road between Penukonda and Madakasira. 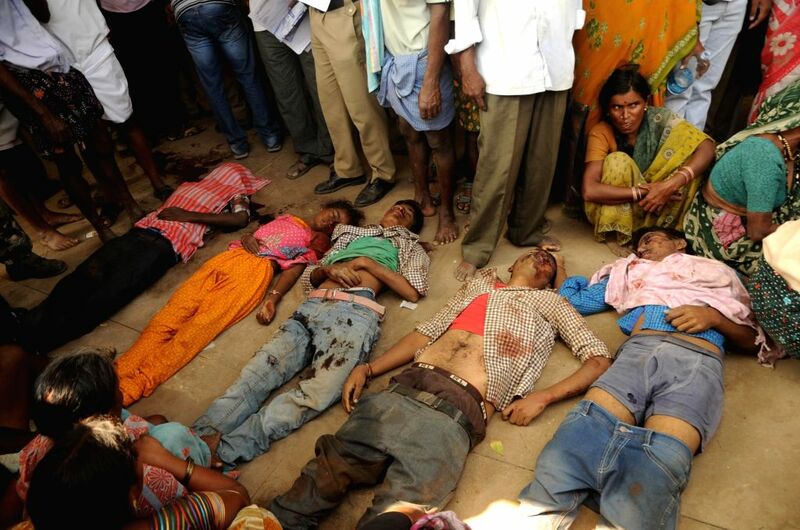 The bodies of the people who were killed in a bus accident in Andhra Pradesh's Anantapur district on Jan 7, 2015. 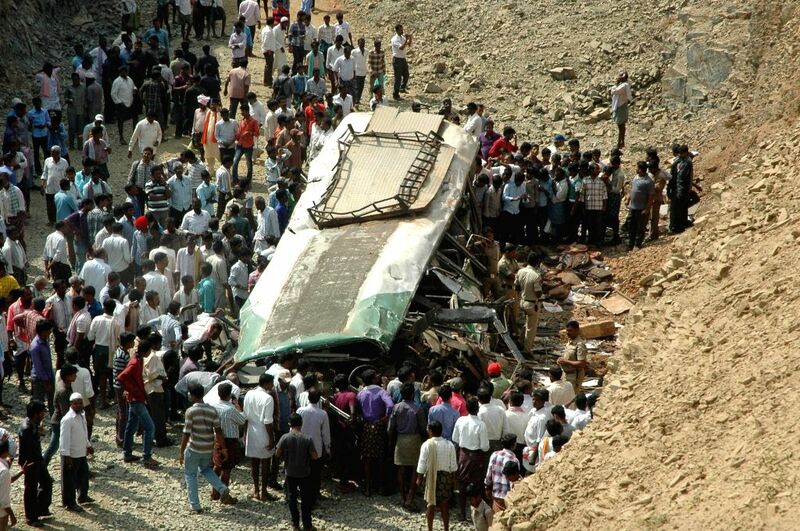 At least 14 passengers, half of them students, were killed and 40 were injured when a crowded bus slid down the road between Penukonda and Madakasira.